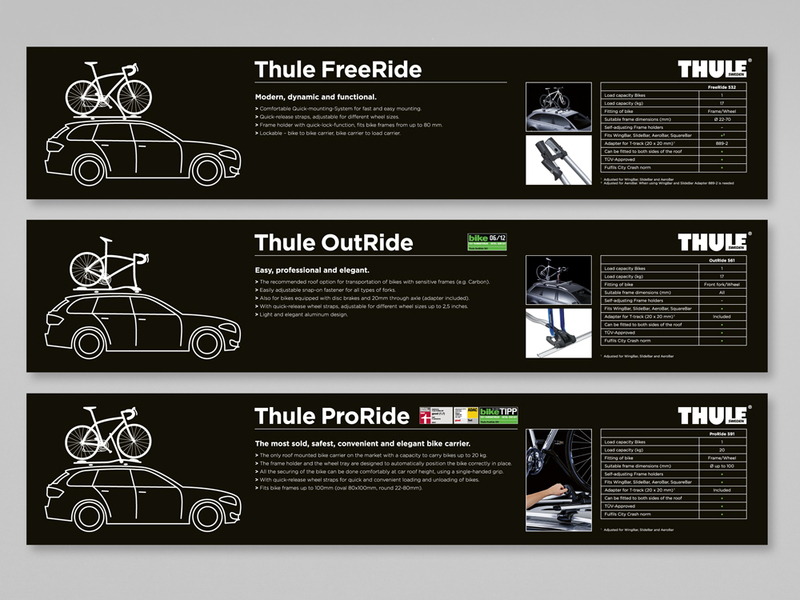 Thule is the largest brand in the Thule Group, manufacturing and supplying various types of products that help the active family bring their stuff with them. This includes everything from ski boxes, bike racks, roof racks, snow chains, boat and horse trailers, to laptop and camera bags and backpacks. 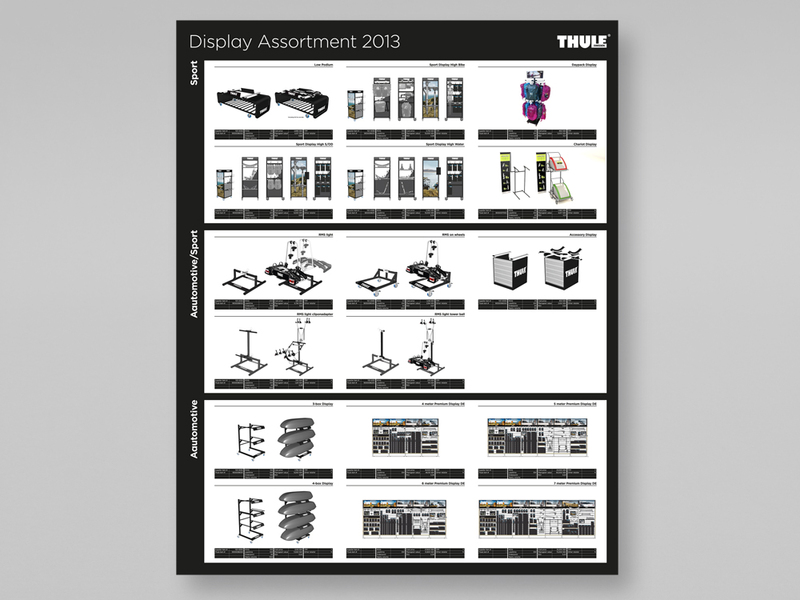 I helped Thule with shop displays and information graphics. 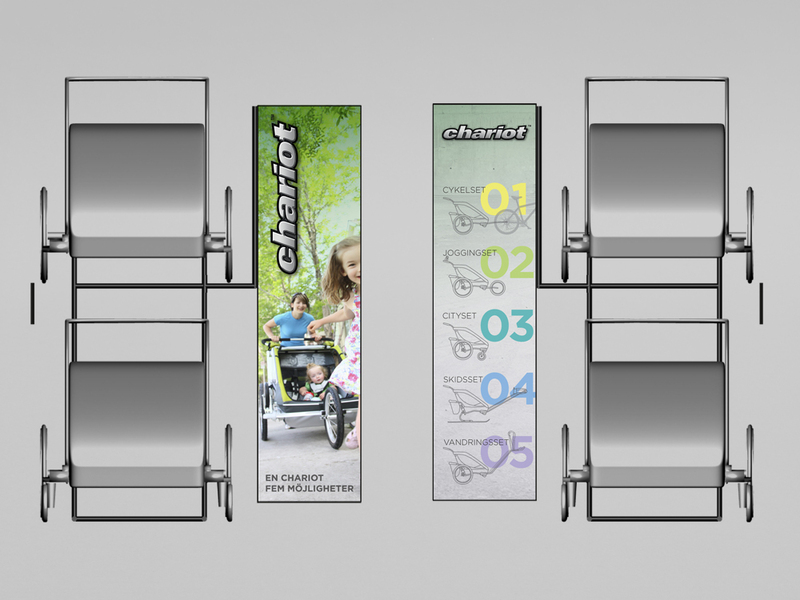 I also worked with another company from Thule Group called Chariot. This company makes multifunctional baby carriers. Credits to Milan Kosovic at MKID who I worked with on the display design. 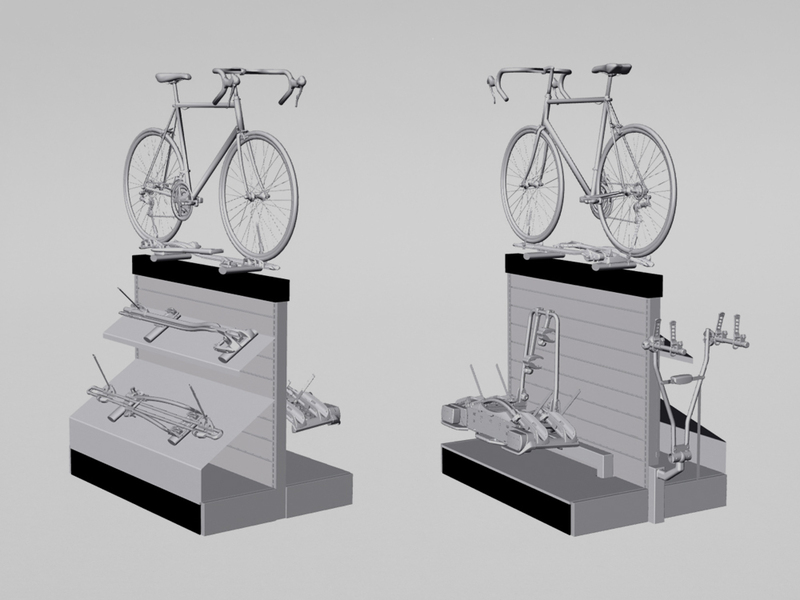 Information graphics and shop displays for the bike racks and accessories. Co­designer Milan Kosovic.